Politics students are drawn to the internship programs in the British Parliament in London and the Irish Parliament in Dublin. Anthropology and history students jump at the chance for hands-on training at the Maremman archaeological excavation in Tuscany, Italy. Media and Communication Studies majors will be right at home in the film and communications program in Fremantle, Australia. Students studying English literature will vie for a spot in the highly competitive program at Oxford University. And our modern language students will fan out all over the globe to pursue their interests in language and culture in places like Mexico City, Beijing, Paris, and Berlin. A special opportunity to study abroad that you may want to consider is Catholic University's new Rome Center, which is located just a mile from the Vatican on a hill overlooking the ancient Roman neighborhood of Trastevere. Our Rome campus is a home away from home for Catholic University students. Whatever your field of study in the School of Arts and Sciences, you can count on our faculty and administration to make it as easy as possible for you to study abroad and still complete your degree program on time. 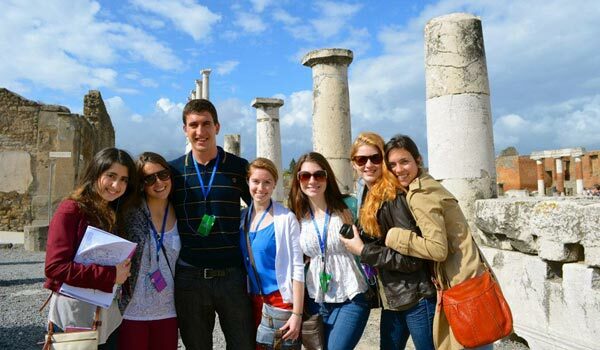 You can study almost anywhere in the world through our Education Abroad program. 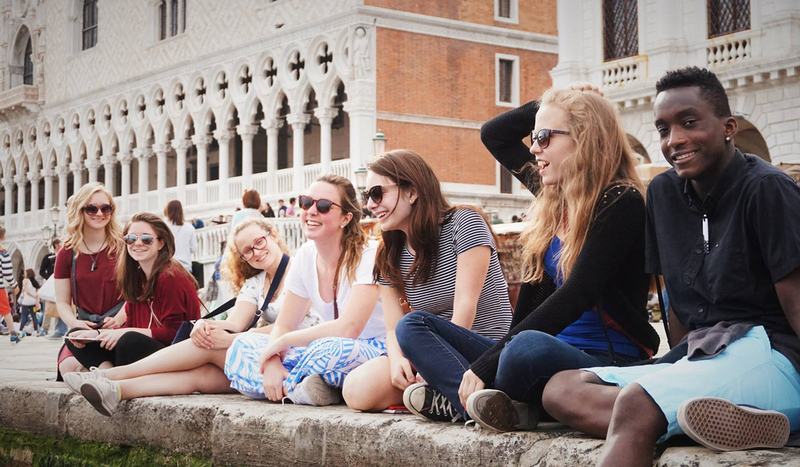 Every year, more than 350 Catholic University students travel abroad to participate in educational programs on six continents. One of the most popular destinations is Catholic University's new Rome Center. 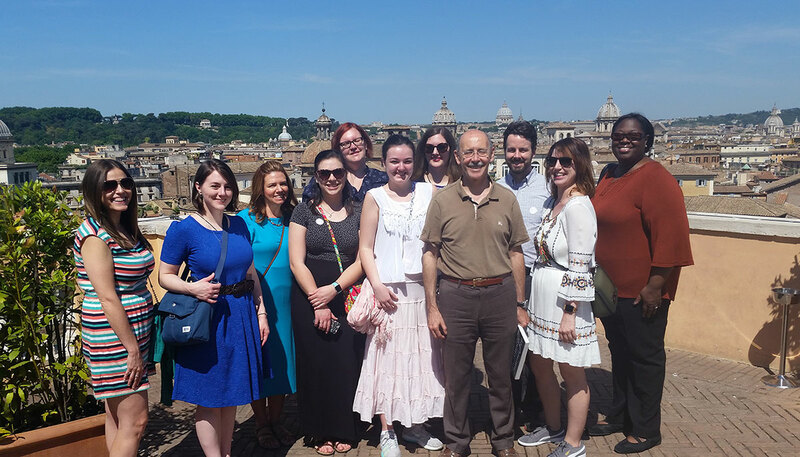 Library and Information Science students get behind-the-scenes access to the Vatican Secret Archives and other rare collections during two-week summer course in Rome.